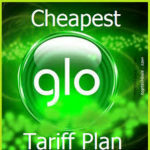 MTN Super Saver is one of MTN Nigeria’s low call tariff plans specially designed for their customers who love to make calls at cheap rate and also frequently travel out of the country to some specific destinations. 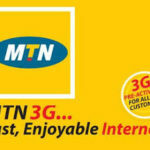 This plan also offers free MTN to MTN midnight calls and some other cool benefits. 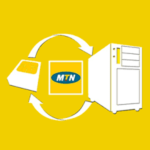 The plan offers MTN to MTN calls and MTN to other networks at the rate of 15k/s. 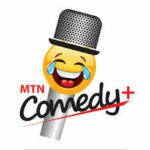 However, before you’ll be able to call at the rate of 15k/s to MTN to MTN and MTN to other networks, your first minute in a day would be charged at the rate 40k/s to MTN to MTN and MTN to other Networks. 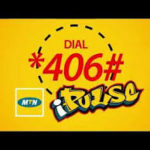 This simply means that, you’ll be able to make MTN to MTN at 15k/s when you make MTN to MTN calls at 40k/s daily for the 1st minute but MTN to other networks would be charged at 40k/s until you also make a 1st minute call for the day to other networks at 40k/s, before you’ll be able to make calls to other networks at 15k/s and vice versa. Simply dial *408*1# or text 408 to 131. This is like a sub package under the MTN Super Saver plan, it allows you to enjoy up to 5 minutes free incoming calls when you’re outside the country. You’re only eligible to enjoy this service, after you must have spent N3,000 the previous month before the month you traveled. If you didn’t spend up to N3,000 then you’re not eligible. 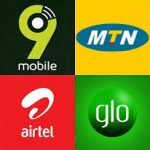 However, if you spend up to N3,000 in the previous month before the month you traveled, you’ll only be able to receive the 5 free minutes incoming calls per day in: UK, USA, France, Germany, Italy, Canada, Netherlands, Belgium, Malaysia. UK, USA, France, Germany, Italy, Spain, Lebanon, China, South Africa, India, Saudi Arabia, Canada, Netherlands, Malaysia. To Enjoy the calls to any of the destinations listed above, you have to 1st register a destination you wish to call, which you would register for free. However, if you want to make calls at a discounted rate to other destinations asides from the destination you registered, you’ll be charged N50. Simply dial *408*4*2# and then select a destination from the list of destinations that will be displayed. To change your destination, you will be required to delete the registered destination by dialling *408*4*4# and then registering another destination by dialling *408*4*2# and selecting a destination from the list of destinations displayed.